OH, for pottering about the garden, in my pink frock and bonnet, with my curls set just so and my basket overflowing with freshly-cut blooms. You? I READ… Cheryl Strayed's Wild and Lisa Messenger's Daring and Disruptive. Wild was an audio book. I plugged in to potter in the garden or clean the house. Made the hours go past in a flash and such a great story. Read it. I'm off to find the DVD. I WENT TO… Camp and camp. Yup two camps, both with Girl Guides. One I organised and one I had the luxury of turning up and enjoying as a participant. Both were awesome. I ATE… Camp food, lovingly cooked by volunteers in vast quantities and devoured with gusto after long, happy days outdoors. 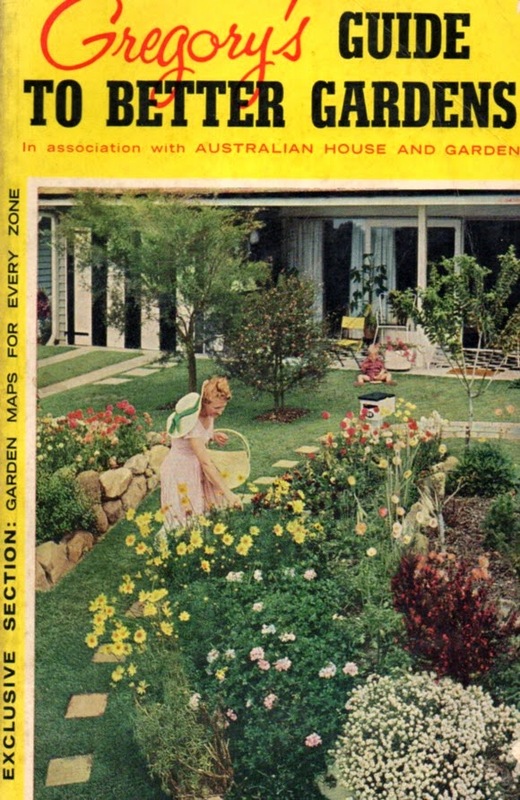 I OP SHOPPED… 1960s garden annuals. Plenty of great tips, and a handful of things you'd never do in 2015. I MADE… Stars. You can too.